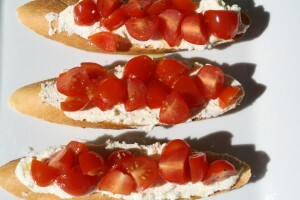 French in a Flash: Boursin and Tomato Mini Tartines | French Revolution. A recipe I found in the blog called French Revolution. And it’s a well designed blog as well.